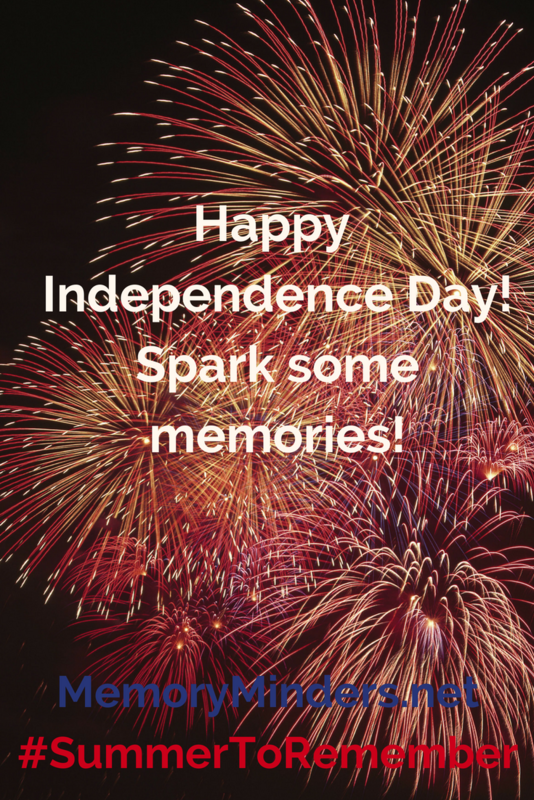 It’s time to celebrate and spark some memories! My thoughts for you are short and sweet for this week since many of us are taking a bit of a break to spend with family and friends over the Independence Day Holiday this week. Take advantage of the celebrations and gatherings this week to spark some memories! Use what we’ve learned so far in our #SummerToRemember series and make new memories to enjoy. Have a blessed, safe and memorable Independence Day! You continue to inspire me every Monday morning. Thank you for all of your suggestions and insights. I hope you are having a wonderful summer with your family and that I can make it to some of your monthly talks at Alexian this fall.